A treasure trove of studio, performance, and more intimate behind the scenes photos of Prince from early in his career! 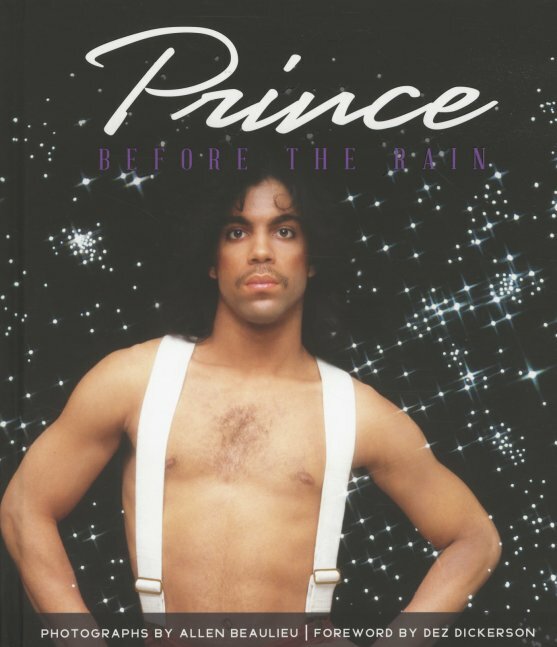 If we're talking popular music figures, there's probably no more worthwhile of a single artist subject for a full on, full color hardcover photography book than Prince, but this one especially vital given Prince's legendarily private personal life. As huge as his persona and public profile was and always will be, the man himself was notoriously difficult to get close to. Allen Beaulieu captured a slew of what would ultimately become some of the most famous photos of Prince from the Dirty Mind era up to the 1999 era, particularly the publicity and album cover material, but he was trusted enough to pretty much becoming a member of the crew and there's some really great behind the scenes and tour photos here we've never seen before. Very nicely put together, with a forward by Dez Dickerson of The Revolution. 224 pages. © 1996-2019, Dusty Groove, Inc.